The NIEHS Superfund Research Program (SRP) presents the first session in the Risk e-Learning series, The Interplay Between Environmental Exposures and Infectious Agents. The seminar series examines the interactions between environmental exposures and infectious agents in the development of disease. The series will highlight researchers from around the country who are doing innovative research to better understand this relationship between environmental exposures, infectious agents, and immune response. This session will introduce the topic and provide examples illustrating the interplay between environmental exposures and infectious agents. Karl Western, M.D., from the National Institute of Allergy and Infectious Diseases (NIAID), will set the stage by providing an introduction on pathogens, immune response, and the environment from the perspective of the NIAID. The establishment of the EPA in 1970 resulted in the National Institute of Allergy and Infectious Diseases (NIAID) losing much of its mission in infection and the environment. The scientific community is now in the midst of the Genomics and Informatics Revolution which has led to the appreciation that most new or emerging infectious diseases are zoonoses that are influenced by animal reservoirs and vectors that are affected by their environment. NIAID is increasingly engaged in an effort to predict the next epidemic disease and to deal with it before it impacts heavily on human populations. In order to be successful in this effort, NIAID needs to strengthen or establish working relationships with veterinary, agricultural, and environmental research partners. Rita Loch-Caruso, Ph.D., a professor at the University of Michigan and project leader for the Northeastern University SRP Center, will discuss her work related to toxicant-microbial interactions in infection of human extraplacental membranes. Toxicant-microbial interactions in pregnancy are poorly understood. Her study evaluated the potential for S-(1,2-dichlorovinyl)-l-cysteine (DCVC), a carcinogenic metabolite of trichloroethylene (TCE), to modify host defense responses of gestational tissues to Group B Streptococcus, a leading cause of adverse pregnancy outcomes. They found that DCVC decreased pathogen-stimulated release of mediators important for host defense against infectious microorganisms in extraplacental membranes. José Cordero, M.D., who is also a part of the Northeastern SRP Center, will also briefly introduce their ongoing work on the Zika virus in Puerto Rico, including research on whether exposures to environmental chemicals can have the unintentional effect of amplifying risks of Zika during pregnancy. Thomas Kensler, Ph.D., a professor at the University of Pittsburgh, will then discuss his research on the relationship between aflatoxins and hepatitis B in the development of hepatocellular carcinoma (HCC). HCC, the most common form of liver cancer, is among the leading causes of cancer death in most parts of the economically developing world. Several cohort studies have examined the interaction of hepatitis B virus (HBV) and aflatoxin as independent and interactive risk factors for liver cancer and strongly support a causal relationship between the presence of chemical and viral-specific biomarkers and the risk of HCC. However, the underlying mechanisms driving this multiplicative interaction have not been resolved fully. Dr. Western is an undergraduate and medical graduate of Georgetown University. He trained in internal medicine on the Cornell Service of Bellevue Hospital and Memorial Sloan-Kettering Hospital in New York City and fulfilled his military commitment as an Epidemic Intelligence Service Office at what is now the Centers for Disease Control and Prevention in Parasitic Diseases, received a Diploma in Tropical Public Health from the London School of Hygiene and Tropical Medicine and is Board Certified in Preventive Medicine and is a Fellow of the American Society of Tropical Medicine and Hygiene. Dr. Western remained in the US Public Health Service Commissioned Corps with postings in Nigeria during the Civil War, Los Angeles County, PAHO/WHO Institute of Nutrition of Central America and Panama (Guatemala City), Virginia Health Department, PAHO/WHO Caribbean Epidemiology Center (Port of Spain), and Chief of PAHO/WHO Department of Communicable Diseases. He joined NIAID in 1979 as Assistant Director for International Research. Dr. Western currently serves as NIAID Senior International Science Advisor. Rita Loch-Caruso, PhD, is Professor of Toxicology in the Department of Environmental Health Sciences, School of Public Health, and Professor in the Program in the Environment, College of Literature, Science, and the Arts, at the University of Michigan, Ann Arbor. She also directs the Michigan Lifestage Environmental Exposures and Disease (M-LEEaD) Center and the Environmental Toxicology and Epidemiology Training Program. Her current research focuses on identifying chemical and pathogen risks for preterm birth, understanding mechanisms that underlie how such exposures impart risk to pregnancy, and advancing interventions to reduce or prevent adverse pregnancy outcomes. More details available here. Dr. José F. Cordero is the Patel Distinguished Professor of Public Health and Chair of the Department of Epidemiology and Biostatistics in the College of Public Health at the University of Georgia (UGA). Previously, he served for 27 years in the US Public Health Service at the Centers for Disease Control and Prevention (CDC), as Assistant Surgeon General of the Public Health Service and also held other positions focused on improving the health of mothers, children and adults in programs. He retired from CDC as the Director of the National Center on Birth Defects and Developmental Disabilities. He served for eight years as Dean, University of Puerto Rico School of Public Health before joining UGA. His research focuses on the health of mothers and children, in specific risk factors for preterm births and preconception approaches to improve pregnancy outcomes. 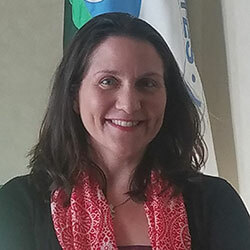 Dr. Cordero is the Co-Director of the Puerto Rico Testsite for Exploring Contamination Threats (PROTECT) funded by the NIEHS Superfund Research and the Center for Research on Early Childhood Exposure and Development (CRECE, Spanish for "grow") a Children's Environmental Health Center program. In the infectious disease area, he is advisor of the Americas Dengue Board, as well as a member of the International Data Monitoring Committee for the Sanofi Pasteur Dengue Vaccine. Dr. Cordero is an investigator in the Zika in Pregnancy Consortium Study site in Puerto Rico site that will be recruiting pregnant women to examine the risk of Zika infection, the risk of the fetus and the interaction of environmental factors with Zika infection. Thomas Kensler received his Ph.D. in toxicology from M.I.T. Following postdoctoral fellowships at the University of Wisconsin and at the National Cancer Institute in, he joined the faculty of the Johns Hopkins Bloomberg School of Public Health in 1980. In 2010 he joined the faculty in the Department of Pharmacology & Chemical Biology at the University of Pittsburgh. His research interests are in environmental carcinogenesis and cancer prevention. He is currently a Senior Editor for Cancer Prevention Research and on the editorial boards of JBC and MCB. He has received several honors including the 2007 AACR-American Cancer Society Award for Research Excellence in Cancer Epidemiology and Prevention and the 2011 Friendship Award from the Peopleâ? ?s Republic of China, their highest award for foreign civilians. His research has been continuously funded by the National Cancer Institute since 1984; most recently by an R35 Outstanding Investigator Award.